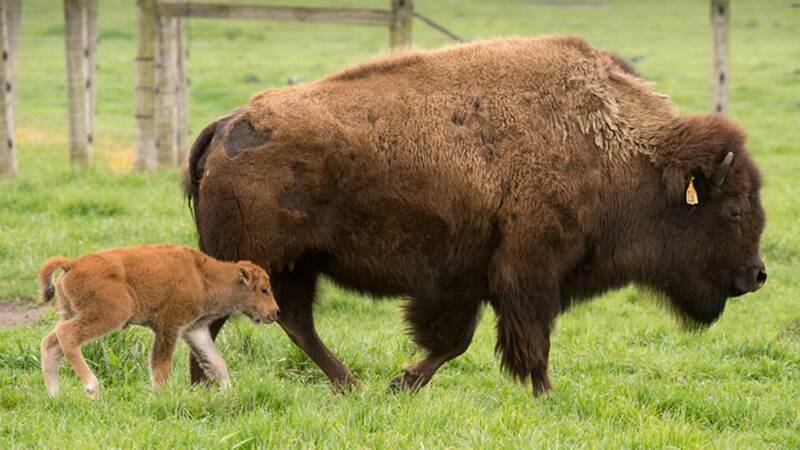 BATAVIA, Ill. (WLS) -- Another bison baby boom at Fermilab in Batavia is expected this spring. The female bison begin giving birth in late April and at least 10 baby bison are expected to be born over the next six weeks. This bison herd was established in 1969 by Fermilab's first director, Robert Wilson, as a symbol of the history of the Midwestern prairie. There are 1,100 acres of reconstructed tall-grass prairie at the Fermilab site. The site is open every day from 8 a.m. to 8 p.m. and admission is free, but a valid photo ID is needed to enter.